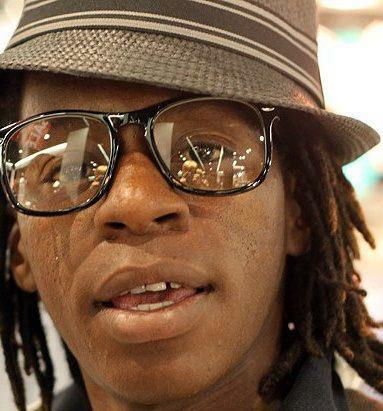 Harare, Zimbabwe – Takunda Mafika, an amazingly talented musician, died on Monday in Harare. He was 28. The cause was a brain hemorrhage, according to a family spokesperson. Born on 31 October 1983, the husky voiced nyunga-nyunga mbira maestro was definitely in a class of his own, and his untimely death has robbed Zimbabwe of yet another rising star. The versatile musician helped to take mbira to a wider audience, including young people steeped in hip hop and urban music. The freshness of his husky voice earned him an enthusiastic following across the globe. If anything, Mafika was on a life mission to take the mbira to a whole new international level. He toured Europe frequently where his music received wide support and rave reviews. His fusion with other global rhythms such as RnB, roots reggae, hip-hop and South African influences such as mbaqanga in some of his musical stops has catapulted him to international exposure and discovery. There was definitely a cosmopolitan touch to his music, and Mafika was always experimenting with the nyunga-nyunga in order to elevate its global reach. In spite of the glitter of his career, Mafika always maintained his composure, maintaining a cool, calm and collected self which endeared him to many of his fans. Before he was admitted into hospital a fortnight ago, Mafika was in studio putting final touches to a new album titled, “Black to Colour.” The music on his new project, constructed using an eclectic selection of musical instruments, portrayed Mafika in a whole new light. His lyricism on the album touched on a wide range of issues, including, love, freedom and peace but the ultimate beauty of his work was in the precise manner in which he plucked the mbira keys and made them sing touching many hearts around the globe. Mafika worked with about everyone that matters in the music industry in Zimbabwe. He had one album, Dzimwe Nguva, to his name and worked with artists including Alexio, Willom Tight and the late Sam Mtukudzi. He was also passionate about identifying and grooming young talent. At the time of his death, Mafika was actively involved in putting together a High Schools Musical Concert at St. Peters Kubatana. He was selfless and dedicated to whatever he he his hand was allowed. This entry was posted in Lifestyle and tagged Maestro, Mbira, Music, nyunga nyunga, Taku Mafika. Bookmark the permalink. I can’t wait for 2011 to be over. How many more days? I can’t wait for the end. How much more talent must 2011 claim? May he rest in peace. you know it was just two weeks when l bumped into him and we were talking about his new project. A great musician…R.I.P. We will remember you through your wonderful music MAN. R.I.P Taku. we talked Sat 1 October at the Poetry Slam. promised to send me an invite for my Convent Ensemble to the 15 October event. It pains, 24 hours later, he was taken ill and I could not see him when I went to Pari. this is very sad, hours before his death, I was on his bed.